Please note that our House Leagues consist solely of DOUBLES teams. The main challenge of each House League is to have players of matching skill levels competing against each other. 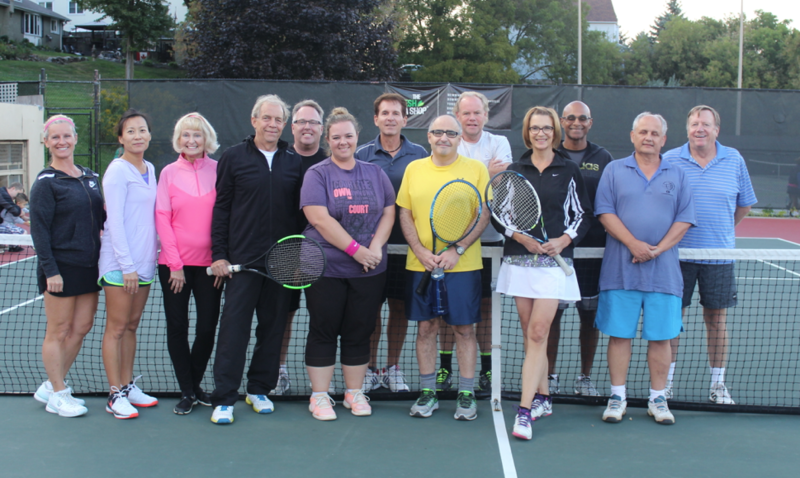 Courts are available on Wednesday from 7:00-11:00 pm for the first 3 weeks in May (May 1, 8, and 15, 2019) for informal drop-in play. Brian Draxl, our Head Club Pro, will be on club premises to conduct evaluation sessions. These sessions will help determine the level of play that each player will be assigned and provide an opportunity to meet new members. Players will be contacted by their Team Captains after May 16, 2019 to advise of their first matches. Your individual schedules & rules will be available for pick-up by commencement of the Leagues Matches on Wednesday, May 22 and Monday May 27, 2019. The regular season will end in late August followed by the playoffs. Most importantly, each player is responsible to obtain replacements from their own team rosters if they are unable to play their scheduled match. Midway through the outdoor season, all House League matches go on hiatus for Summer Solstice. This means that no House League matches are scheduled or played for a week. Summer Solstice will be announced as the outdoor season gets underway.